Th all-new 2019 Ford Ranger will be into its first year of sales one year from now. It is scheduled to go on sale in early 2019 and will ramp up to full production volume over a period of three to six months. The automotive media has a preoccupation with "sales" and whose vehicle sells the most in which segment. In certain segments, the manufacturer or brand that sells the most trucks has the most customers. That is just logical. However, in many segments, such as midsized trucks, green vehicles, and other hot segments, demand can exceed the full production of the vehicles. The midsized truck segment is a perfect example of this. Toyota sells every Tacoma it can build - quickly. Honda limits its RIdgeline capacity to around just 4,000 trucks per month, and GM's Colorado and Canyon exceeded capacity for well over two years when the modern versions launched. That leads us to first ask the question, how many Rangers could Ford build for U.S. consumption if it wanted to? Unlike GM and Toyota, who have revealed their line capacities in the segment, Ford hasn't said exactly. 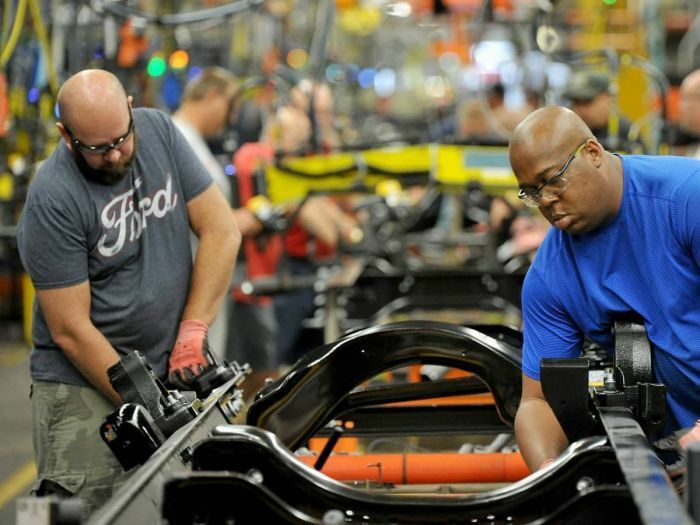 We do know that the Wayne, Michigan plant that will do final assembly can handle at least 200,000 vehicles per year. We know this because Ford's vehicles from that plant have topped that number. How many more is unclear. After Ford's ramp-up is complete, the final assembly may or may not be the limiting factor to its total production. Key components like the engine and transmission will also determine how many are built. Add to that the tricky math of United Auto Worker employment issues. -Ford won't add "half a shift" to try to meet a demand it is close to satisfying. Our best guestimation is that three to six months into its 2019 model year, about this time next year, the Ranger will sell in a volume of between 5,000 and 15,000 units per month. That is a huge span. Once the line matures, and if demand stays strong, we would guess that Ranger will top Canyon and come close to the 18,000 Tacomas that Toyota can now build in a given month. Will Ranger be the midsize truck model that finally pushes Tacoma off the top of the mountain in the sandbox? What say you Ranger fans?